Belén & Laith’s custom invitation suite combined their roots–Peru and Jordan. We laser cut a custom gatefold backing that featured each country on either side. The panels came together to create D.C. - where Belén and Laith met. The DC outline framed their names, written by Laith in Arabic. We used rose gold thermography to elevate their names and add dimension. When you flip the invitation over, you see Type A’s signature skyline pocket–the DC skyline–holding their details card. The main invite and the details card were printed on beautiful cream-colored shimmer paper. Their invitation suite also included inner and outer envelopes. 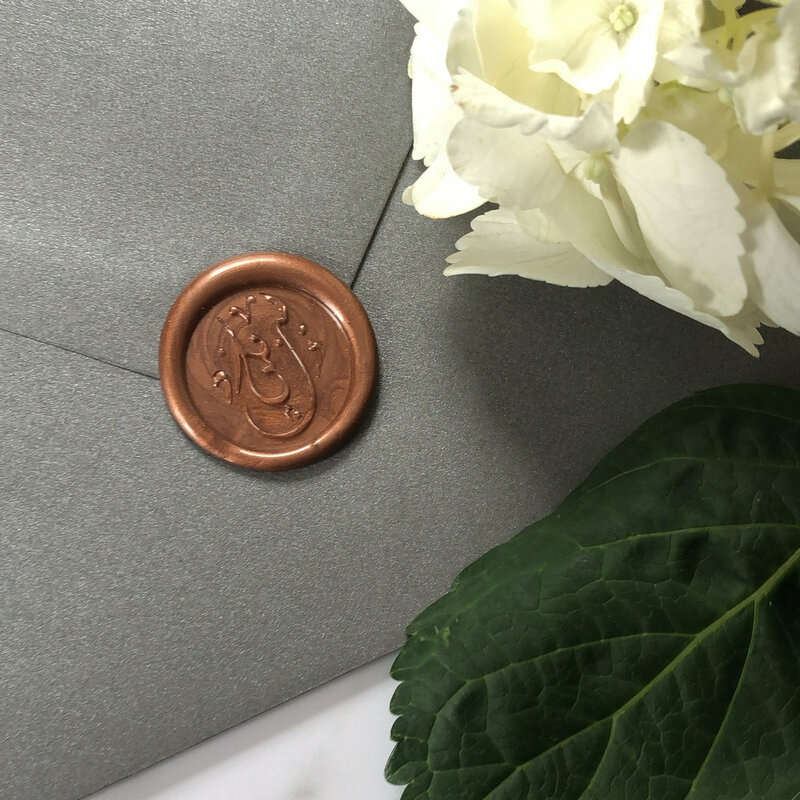 The inner envelope, addressing each invited guest per household, was sealed with a copper wax seal. 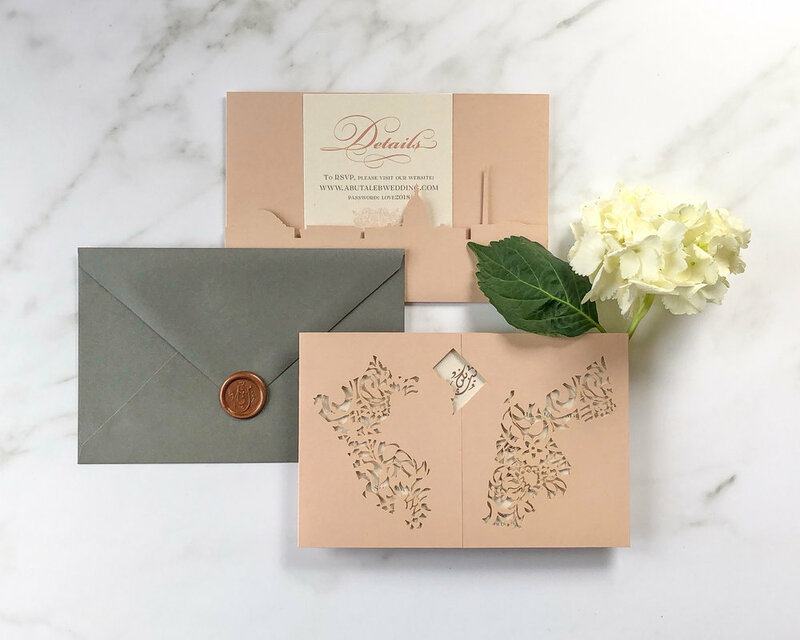 To protect the inner envelope and invitation, we used an outer envelope with digitally printed calligraphy for recipient addressing. Happy one year anniversary Belén and Laith!